Las Vegas roller hockey coach Adam Stio is involved in a number of interesting hockey-related projects heading into this summer. Here are summertime plans for Adam who has coached roller hockey, has managed a roller hockey arena and has played the game. Adam said “we have a new company that I have been concentrating on called Rotator Sports. We make custom team apparel, uniforms and tons of extras like compression sleeves, towels and others things. “For hockey we have uniforms, shells, socks, roller pants and we will be having a couple of teams representing our company at various roller hockey events – TORHS in Tampa and NARCh Nationals in Toronto. “I am currently working on a training puck. It will be the same weight and dimensions as an ice hockey puck but it moves like a puck on the ice. It works on most surfaces and we’ve already had some amazing reviews with our prototypes. The production run should finish by the end of June and we will do final testing before release which we are hoping will be before the end of this summer just in time for the new season. “We’ve been offered a couple of coaching jobs again for spring and summer – but not sure if we will take any. Offers have been good but I would only leave town if something really good came up. “I was born in Las Vegas. My first year was playing for the midget team Las Vegas Mustangs. My coach was Rob Pallin. “I don’t remember my first goal in midget hockey. I only remember being able to stop on one side as I really struggled during my transfer from roller hockey to ice hockey. #4 Looking back, what did playing for AA Las Vegas Mustangs 18u mean to you – playing on a team which went to the U.S. Nationals. “I had a lot of fun that year. We had a great team and group of guys. I remember a big win over Shattuck St. Mary’s 2nd team in Colorado and also a win over the AAA L.A. Jr Kings at the Santa Fe Ice Arena in Las Vegas. #6 How many times have you worn the ‘C’ and for what teams. #7 What coaches or hockey folks helped you advance to the next level. #8 Did you go to tryout camps when you were younger. “My wife Jaime and I have two children. They are both girls – Ava and Harper. “I have not played roller in years. #12 – What hockey websites do you read. Mitch Wahl, a star goal scorer and a NHL second round draft pick from Los Angeles, has signed with HC TWK Innsbruck headed by Las Vegas coach Rob Pallin. The announcement was made today. Wahl, 27, played in the AAA Cal Wave 16u and the AAA L.A. Jr Kings 16u hockey programs. He played four seasons with the WHL Spokane Chiefs, skated on a USA 20u team and was drafted in the second round by the NHL Calgary Flames in 2008. Pallin was named the ‘Coach of the Year’ in the Austria Hockey League last season. His Innsbruck team made the playoffs, drew extraordinary festive crowds. Wahl played for the AHL Abbotsford Heat, ECHL Utah Grizzlies, Idaho Steelheads and Florida Everblades. Coach Rob, wife Dora and baby Emily plan to depart Las Vegas on July 25 to head for Innsbruck. There Rob will open camp and get Innsbruck ready for the new season. Flashback – Memorial Day Weekend 2001 – 16 Seasons Ago — Ice and Roller Hockey! STUNS LANGLEY HORNETS IN DOUBLE OT!!!! Anaheim, Calif. — Coach Joe Morin’s Arizona Roadrunners, which included some top AA Las Vegas Mustangs, won a stunner here on Monday. The Roadrunners beat a highly energized, hard-hitting Langley Hornets ice team, 3-2 in an overtime shootout in the 17-and-under gold medal game at the Disney Ice Arena. Morin’s team was in the finals last Memorial Day, but lost to Todd Collins’ AAA Polar Bears of Peoria, Az. This time, Morin had a top goalie in Fulweiler who plays for Rob Pallin’s 17-and-under AA Mustangs ice team. Fulweiler allowed only three goals all weekend and was named the tournament MVP. Arizona and Langley were both 4-0 going into the final game. 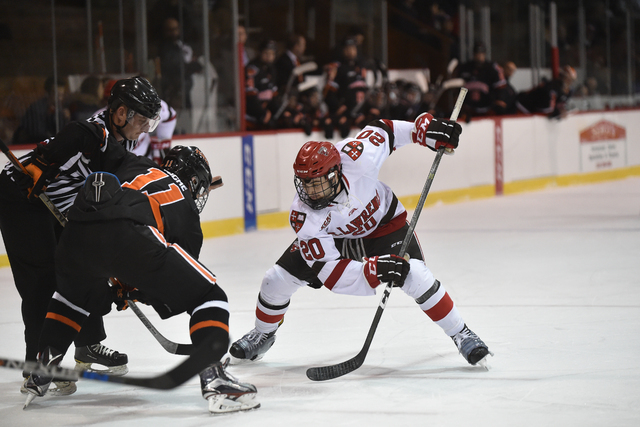 Josh Jasek of Las Vegas and Shane Palmer of Flagstaff scored goals to help Arizona battle to a 2-2 tie in regulation. The game was decided during the second OT shootout, when Palmer scored again and Arizona got the win, 3-2. The Las Vegas skaters on the Arizona roster included Josh Jasek, Travis Roseberry, Spike Neely, T.J. Craig and J.C. Caron. SANFORD’S TITANS WIN 2 OF 3 IN ANAHEIM!!! Anaheim, Calif. — Ryan Hobbs usually winds up and cranks in blue-streak shots from long range. In house roller leagues, when he sets up, defensemen run for cover. That’s how hard the shots are. However, Hobbs scored on two breakaways, used a nice backhand and netted three goals from close range as Larry Sanford’s Las Vegas Titans AAA 16-and-under bantam team closed out with an 8-0 win over the Anaheim Mission Bulldogs late Sunday night. That gave Las Vegas a 2-1 record for the weekend. Billy Tufano, Jason Allen and Evan Zucker scored two goals each in the three games. Eddie Del Grosso played, but had a thumb injury on the shooting hand. Goalie Cody Fulweiler, who was also playing ice here for the Arizona Roadrunners at the Disney Arena, started the second game. That was the toughest one, as the Pro Joy Valley Stars got off to a 4-0 lead. The Stars play out of Northern California and are regarded as one of the top KOHO roller teams from that region. Anaheim by scores of 4-3 and 4-3. NOTEBOOK — Michael Morton, who is tearing up house league action this summer, also scored a goal for the Titans…..Spike Neely pulled a ‘double,’ playing ice and roller this weekend…Joe Morin’s Arizona Roadrunners won two more games, 9-0 and 9-3, and are taking on the high-powered Langley Hornets of Canada on Monday at the Disney Ice Arena. 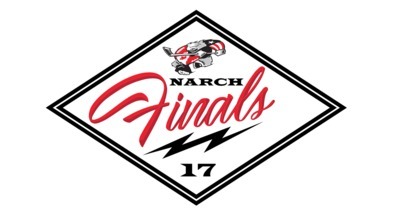 If your team registered for the tournament and not on the team list, or listed wrong, please contact daryn@narch.com right away! More important information about the tournament will be sent directly to team contacts, so please keep an eye out for that. We plan to release the schedule for San Jose between June 6th-8th. By indications at many of the recent regional qualifiers, it seems that more teams than originally expected have their sites set on competing in the FINALS in Toronto, which is awesome! Also, there’s an extensive list of great host hotel options for this event, and those can be found at EC Finals Host Hotels. Most hotels will drop their blocks the same time as the registration deadline, so if you wait to book you will end up paying higher rates!! Manchester, New Hampshire – Cory Ward of Las Vegas dealt a very key assist in the third period but his playoff ride with the ECHL Manchester Monarchs came to an end in a 4-3 loss to the South Carolina Stingrays before 2255 at the SNHU Arena on Wednesday night. South Carolina won the Best of Seven series 4-3 and will play the Colorado Eagles for the ECHL Kelly Cup. Cory, who had 18 goals, 25 assists this season, dealt a game-tying assist for Manchester early in the third period. He and Tyler Sikura had assists on a goal scored by linemate Ashton Rome which tied the game 3-3. South Carolina however later put in a decisive goal to win the game and the playoff series. Las Vegas – Scott Zucker, the most famous hockey dad of all time in Las Vegas, is the new president of NAHA – the Nevada Amateur Hockey Association. NAHA represents Nevada at USA hockey meetings and lobby for Nevada’s interests. NAHA also oversees all of Nevada’s USA Hockey activity.